Carrying extra weight, especially stomach fat, has a negative effect on blood pressure and arteries. 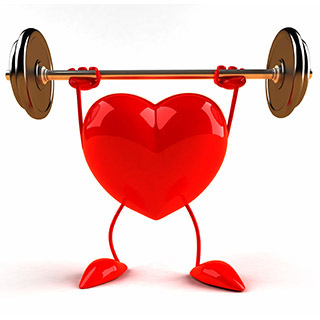 Incorporating exercises, such as aerobics and strength-conditioning into your routine can reduce cardiac risk factors. Aim for 30 minutes of moderate aerobic exercise five days a week. to achieve a goal of 4-5 servings of fruits and vegetables per day. in omega-3s like salmon, sardines and trout. When consuming red meat, do so sparingly and always choose lean cuts. Look for fat-free, 1% and low fat dairy products. Don’t forget to stock your cupboard with beneficial oils like canola, olive, safflower and soybean. Beware of hidden sodium in prepared and canned foods. The current recommendation, if you have high blood pressure or pre-existing heart issues, is no more than 1500mg (less than ¾ teaspoon) of sodium per day. This amount is associated with reduced blood pressure levels.